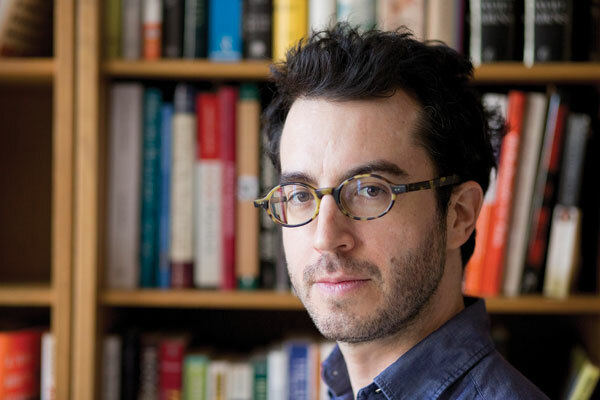 In keeping with his previous books, in his new novel, ‘Here I Am,” the talented Brooklyn-based author Jonathan Safran Foer has attempted yet another audacious experiment. Foer first gained national attention in 2002 for his highly acclaimed novel, “Everything Is Illuminated.” Only 25 at the time, Foer wove a wrenchingly tragic yet wildly madcap tale about an innocent young Jewish-American writer (also named Jonathan Safran Foer) who embarks on a journey to the Polish-Ukrainian shtetl of Trachimbrod, where his ancestors once lived, and from which too many relatives could not escape the Holocaust’s reach. 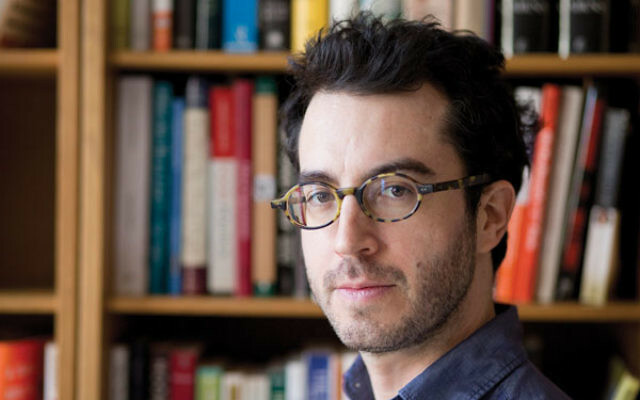 Foer employed a pastiche of literary techniques to heighten both the horror of the Holocaust and the absurdity of the quest of the individual characters’ attempts to understand evil beyond fathoming. Still, even when Foer’s virtuosic writing went way over the top, the destruction of six million European Jews was never far from the writer’s — or the reader’s—consciousness. Similarly, in Foer’s second novel, “Extremely Loud and Incredibly Close,” published in 2005, the destruction of the World Trade Center remains ever-present as we follow 9-year-old Oscar Schell in his search to decode clues that he believes his father, who was killed in the terror attack, left for him. Although that book was less satisfying, feeling at times claustrophobic in its point of view, and contrived in its experimentation with illustrations and typography, there was no question that Foer was unafraid to confront the personal impact and cultural trauma wrought by major cataclysms. No surprise then, that in his 2010 nonfiction book, “Eating Animals,” Foer focused on what he sees as another catastrophe, this one still in progress. Here, Foer, who is a vegetarian, echoes Hillel, asking, “If not now, when” will we just say no to meat? He writes, “If being the number-one contributor to the most serious threat facing the planet (global warning), isn’t enough, what is?” His bloody depictions of industrial slaughterhouses are the stuff of nightmares. This time around, the disaster is made-up, but the prospect is no less terrifying. In “Here I Am” (Farrar, Straus and Giroux), Foer and his fictional characters confront the destruction of Israel. With the Dead Sea at its epicenter, an earthquake of 7.6 magnitude wrecks large-scale havoc on the people, buildings and infrastructures both modern and historic of Israel, Jordan, Lebanon and Syria. Tens of thousands are killed or injured immediately, and thousands more endangered by severe shortages of food, shelter and medical care. Rather than band together to help each other, Arabs and Jews close ranks. The Arab countries collectively declare war against Israel. The president of Israel issues a public call for diaspora Jews around the world to “come home” to protect the Jewish state in its hour of need. Wow. For most writers, this would be the raw material for a nail-biter of a best-seller, the prelude to a block-buster movie of unparalleled special effects. But you will find none of that here. Foer’s audacious experiment is to turn these major events into the background static of a self-absorbed family preoccupied with the catering details of the oldest son’s upcoming bar mitzvah and the free-floating anxieties surrounding the parents’ pending separation and divorce. These purely personal events upstage the political at every turn. Indeed, although Foer ominously announces Israel’s forthcoming destruction in the book’s very first sentence, the earthquake itself does not occur until about half-way through, after 250 pages consisting for the most part of zinger-filled family dialogues that appear to simulate the situation-comedy shows which Jacob, the novel’s main character, gets paid to write. Even then, Foer never shows us the earthquake’s ongoing impact as it unfolds on the home front. Instead, characters and readers alike remain at a comfortable distance, even while glued to the news. Foer demonstrates his talent for mimicry in his transcriptions of a series of imagined reports and interviews conducted by various radio and television correspondents. These pages by themselves present a powerful commentary and satire on the limitations and clichés of news coverage even in the face of tragedy. But they take up but a small percentage of a book that clocks in at 571 pages. The book’s second half, like its first, is taken up by more and still more conversation, with the situation in Israel just one more topic to be agonized and argued over, alongside more pressing personal problems such as how to tell the kids their parents are splitting up, and the pluses and minuses of shopping at Ikea. And yet Foer is too smart a writer to have chosen to foreground his characters’ petty (and to my mind, too often tedious) day-to-day lives without a larger narrative goal. That aim can only be to illustrate just how un-important Israel and Judaism are to the Jewish-American family at the center of the tale. By turning these concerns inside out, Foer portrays perhaps the awful reality of too much of Jewish life today: too many of us give lip service to our Jewish identity, view nearly all religious traditions as optional or dispensable, care less about Israel than we admit, and live almost exclusively in the secular world of American materialism. It is the Pew Research Center survey on Jewish life in America as played out by Foer’s representative family — Julia and Jacob Bloch and their sons Sam, Max and Benjy. Many readers will enjoy the pleasures of Foer’s Seinfeld-like rat-a-tat-tat dialogue and his wry, smart-alecky descriptions of the Blochs as a highly educated, financially secure family that has lost its Jewish soul and become hollow to the core. But I could not escape the sense that at its heart “Here I Am’ is one long op-ed piece. It is an experiment worth trying. But for me it did not sufficiently succeed.